Duchess Kate: The Duchess of Cambridge To Resume Duties Next Week! 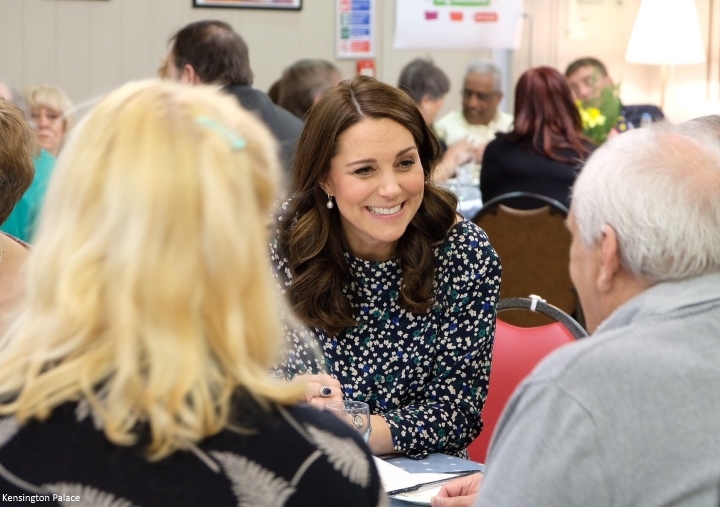 The Duchess of Cambridge To Resume Duties Next Week! The Duchess of Cambridge will make her return to royal duties next week, marking the official end of her maternity leave. 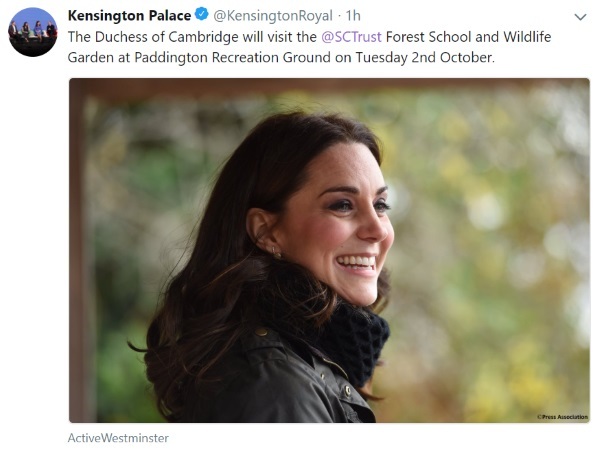 On Tuesday, 2 October, Kate will visit Sayers Croft Forest School and Wildlife Garden at Paddington Recreation Ground. The Kensington Palace tweet confirming the news. Sayers Croft is a residential activity centre based in Surrey, which is owned by Westminster City Council. 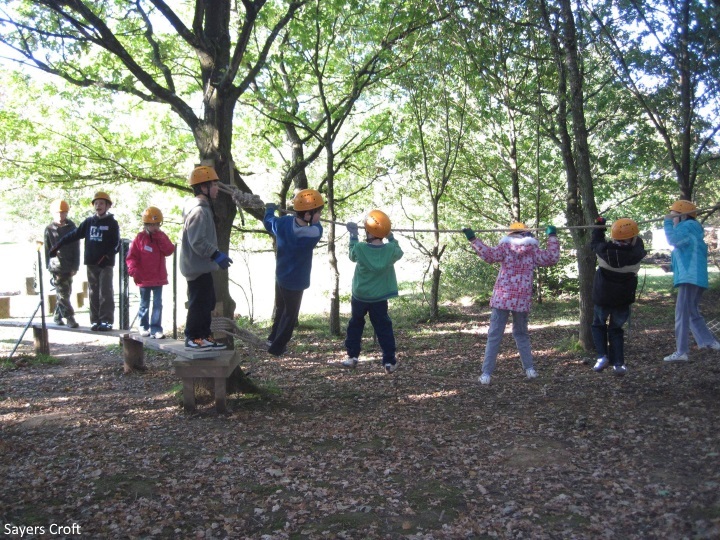 It aims to involve children and the local community in the environment, providing outdoor facilities for those who may otherwise be unable to access them. In London they have worked with Westminster City Council and Ruth Willmott Associates to create a Wildlife Garden, with an edible garden area and a Forest Garden. The Duchess will visit both of these areas and join Forest School sessions in each location. When Kate officially went on maternity leave in March, the Palace said she would return to duties in the "Autumn". We chatted earlier this month about potential October appearances: World Mental Health Day coincides with the Mental Health Summit (10-13), Princess Eugenie's wedding is on the 12th, the Dutch State Visit (23-24) and a celebratory event for Charles' 70th birthday on the 25th all seem very likely. We saw Kate at a handful of official events since Prince Louis was born - beginning with Harry and Meghan's Windsor wedding in May. Kate was in blue for Trooping The Colour in June. 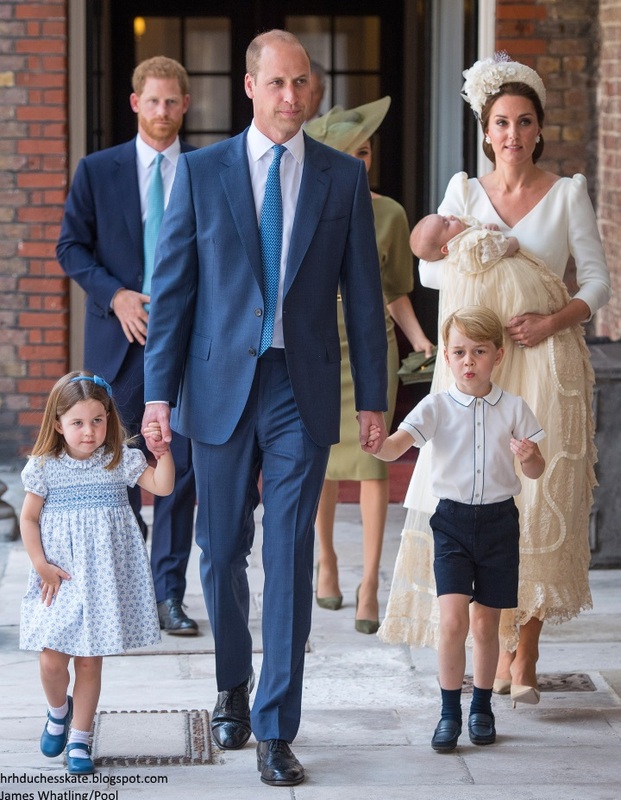 We saw the Cambridges as a family of five for the first time at Prince Louis' christening. 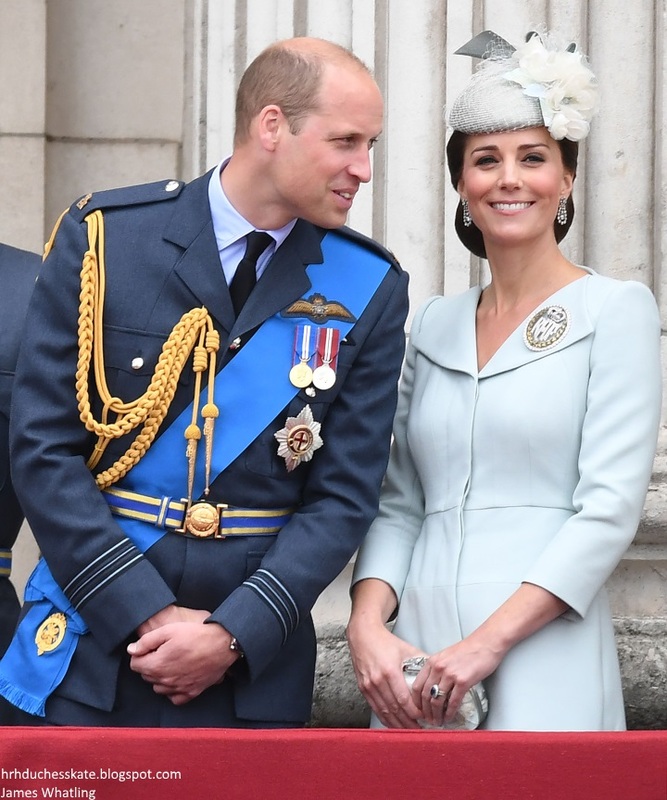 The Duke and Duchess joined members of the Royal family for a service at Westminster Abbey to mark the centenary of the Royal Air Force on 10 July. 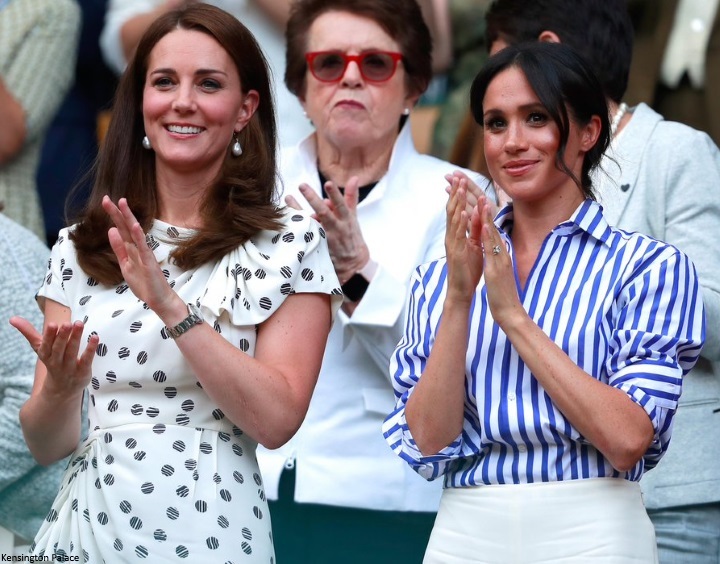 It was a Duchess Duo for the Wimbledon Women's Final. The Duchess donned a summery yellow Dolce & Gabbana dress for the Gentlemen's Singles Final the following day. It's also possible we'll see new photos of Louis over the next few weeks. The Palace released portraits of Charlotte, taken at Anmer by Kate, when she about six months old. I’m so happy to have an engagement on the calendar for Kate. She’s been missed. Looking forward to this engagement even though it will be casual attire. She made quite a few appearances during this leave in retrospect. Thanks for the quick retrospective of Kate's recent fashions, Charlotte. Looking forward to her return. Yay!!! Welcome back Kate! It will be great to see her out and about again. More than glad for Kate’s return. Yay!! Glad to have Kate back! So excited to hear about Kate's return ... wonder what projects she will take on in the next few months. Very excited Kate is back, sounds like it will be a busy month of October for her. Also would be great to see a new picture of baby Louis. I agree! Literally duller - I always enjoy the cheery color and prints in her wardrobe. Cannot wait to have her back!! So thrilled she has had this time with her kids and grateful she is able to focus primarily on them while also doing such meaningful work with her patronages. I have missed her and can't wait to see how Louis has grown! Exciting to know Kates schedule will once again get underway. I do believe however it will not replicate the past in number of appearances. I think it will be limited to her current patronages and not adding any additional for a long time. I think Meghan's entrance into the RF has given the Cambridges some breathing room allowing Kate time to mother her children as is her first preference. Great news, her return. Yay! I'm so glad we'll see her soon again! I'm 100% behind her and all women being able to take their deserved maternity leave, but that doesn't mean I haven't missed her when she's been out of the spotlight :) Will be so fun to see her again! Totally agree with you! I've been in maternity leave for 10 months and I know Kate could do it too, but I miss her! I agree that all women including Kate deserve their maternity leave. I know some here are especially supportive that Kate should take as long as she needs or wants. I wonder how many of those same people supporting Kate's long leave also champion the rights of all women to have an adequate leave? (I'm referring mainly to women in the U.S. which has abysmal leave policies). Those of you who support Kate's leave - are you also supporting policies and positions in the U.S. that allow other women to take a leave longer than the standard 6 - 8 weeks? I realize this question is mainly for the Americans on this blog, but I am genuinely curious. Charlotte , I know we don’t get political here, but this issue is of interest to both sides of the pond, so I hope you would approve this post. I’m trying to use neutral statements here , so our friends in other nations can understand. To Anonymous 19:32 : Honestly I see no current way to support US leave policies except to work for a company that has such a generous policy. The US is a capitalist society, therefore each company currently has the right to make decisions regarding personnel. Currently, you can take longer leave without pay. It’s easier for professional women and more of a issue with women who work in shifts. Yes, I agree the US companies could do better , and would retain more women in the workforce if their leave was longer. I say retain women because the US has have childcare issues. Childcare is private , not state run like a free school system when the children are older. Five years old for Kindergarten is the standard here, so some women stay home until the children are in school. Also women decide not to go back to work when their children are very small because her entire pay covers only the childcare. Here are my questions : I’d like to know who covers the job when a parent in the UK goes on leave? Doesn’t the cover person resent having to do two jobs for year waiting for the parent to return? How many mothers return to work vs deciding to stay home? Does a woman pay a price for having been on leave for almost a year ? I can offer a personal answer regarding maternity leave in one Commonwealth country. (not Canada) A relative was hired in a temporary position to fill in for a woman on maternity leave. It was understood that the job was available only until that person returned from leave. I believe there is government assistance for the business in paying for the subsidized maternity leave.I suppose it is possible to go from temp job to temp job. My family member is a professional specialist. By the way, the woman chose not to return to her job and my relative was offered the job. I believe there are regulations that stipulate that the person return to a job with the same rating and pay. My experience in the US? My job was downgraded while I was on leave and I was considered over-qualified for the newly created position. An assistant filled the job. Luckily, I had other resources; many women are raising children on their own. In the past, I did day care certification in the US. I was employed by the State government in its licensing capacity but day care is 100% private here and very expensive even at its simplest. Susan is entirely correct. The cost exceeds the income for many female workers. This government agency does approve some working women for day care in approved homes and facilities for financial assistance in cooperation with the Federal government. The payments are made directly to the facility. (as I mentioned, this was some time ago. I am not sure the same procedure is in operation now. There is Family Leave now but it has its inadequacies) Without this financial help it is nearly impossible for a single woman with children to advance herself with training or education to get a higher paying job. Some vocational education sources provide free or reduced rate child care on site. Some businesses offer on site daycare. The whole issue has become embroiled in politics in the US. Without reliable, inexpensive childcare the endless cycle of poverty and suppression of single mothers will continue. The minimum wage is low and varies per state and it is impossible to support a family plus provide childcare without financial assistance from somewhere. If one is fortunate, family helps out. I know that sounds like radical feminism but it is the absolute truth. Welcome back to full active duty, Duchess of Cambridge! Thanks, Charlotte for background info on the school the Duchess will be visiting. Yay! Very happy to hear Kate's is returning from maternity leave. Missed her! Lovely first engagement for the autumn. It's a great scheme and outdoors, nature, active and children are all things Kate loves and a good way of starting back to engagements. I would love to see a joint engagement especially one highlighting reading and writing in promoting children's mental and emotional well being. Good to have Catherine back and excited to see what will be doing. I love it when the royals join forces to support each other and I know they are busy but it is always a special treat to see the family working together. Looking forward to all the new outfits but also the repeats just love what Catherine wears and good on her for taking her time and enjoying motherhood. We all need to value mothers & fathers and how important they role is and Catherine and William certainly provide a great example. I agree with you Abbey, particularly about W&K's commitment to family. Amen. 100% agree CeCe. Bravo to William and Kate for doing their family "their way". Children so desperately need their mother in the formative years and this time goes quickly. I've missed Kate this summer!! Can't wait to see her back!! She is pure class. Making an appearance once or twice a week for 1 hour at a time won't take Kate away from her family. For the most part the family unit and the two-parent household seems to be thriving with both parents working full time. Society is not breaking down because men AND women are choosing to pursue their careers while raising successful happy children. Most people understand the need to raise their children to the best of their ability and most are able to balance their children's needs with their own and the needs of the rest of the family pretty well. 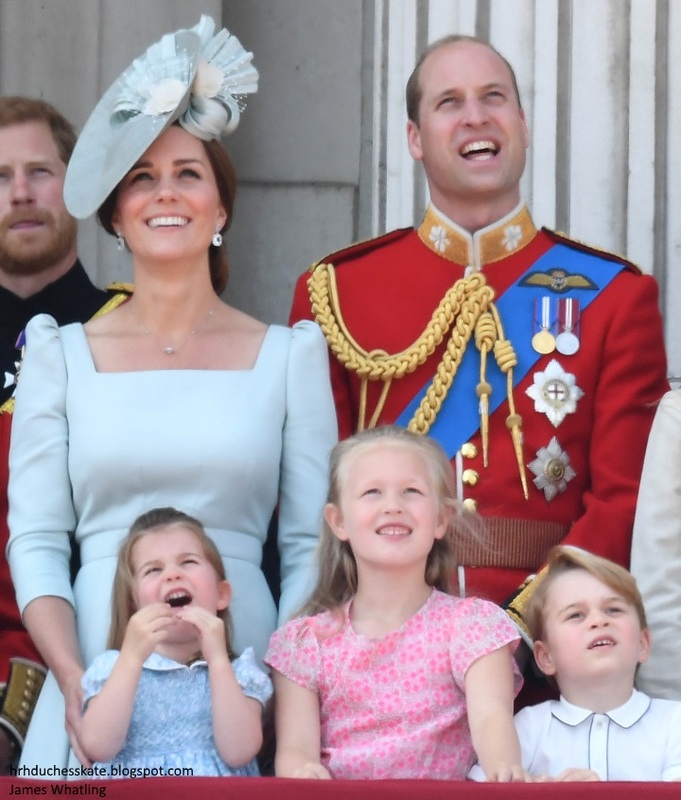 There is no reason to believe that Kate and William cannot trade making appearances for the public for 2-4 hours a week with being with their children. I 100% agree with you Rosman. I agree with Rosman too. It sounds like some are saying a commitment to family means mom can’t work or pursue her own career. I cannot completely agree. I have the feeling society is very much breaking down. The whole of society, not that one composed by a few privileged professionals who manage balance of family life and professional career with the help of many that they aren't even aware of. It is a very privileged life style, being able to have a career and well attended children. Not given to a majority of families. And it is not only children that are left to themselves, teachers will tell you that, but what is happening to old people is dreadful. I am not convinced society is so wonderful now. And making professional success or money the goal of life for women (and men ) is not helping to create a better society. What I admire about Kate is her common sense. She isn't making politically correct choices. It doesn't mean she is not willing to help. She is in fact trying to change society. She seems to have an academic and global approach, taking the time to reflect on her position and the added value of it, using it for good. Heads together is a good example of that and the project in the making another one about how she has a long term approach and how she is willing to remain in the shadow. It is not only about showing up twice a week, that has its PR utility for the RF, but I feel she isn't comfortable with the cult of the personality element of it. Well said Rosman, I agree wholeheartedly. It did not hurt my three sisters and myself when our mother went back to work out of necessity when we were little ones, it actually benefited us in the long run, we knew the importance of helping out and we certainly did not suffer from two parents working. Is this event open to the public? I’d love to see Kate in person. Happy for Kate's return! I've missed her so much! Welcome back! Yea! So excited to see her again. Thankfully, DoS has filled in the gap a bit, but how much fun to have BOTH sites to check? This is great news! Welcome back to the DOC!! Hoping to see new pictures of Louis soon! Glad to see her coming back. Just saw pictures of the katemobile. Made my day! I so look forward to your coverage of the Duchess of Cambridge's upcoming return event! I can't wait to read about it. I so enjoy your positive, forward thinking commentary.